Six common dental problems that cause tooth pain. 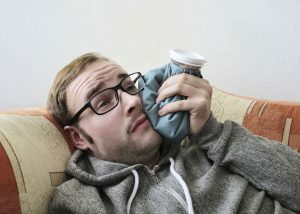 The main causes of tooth pain or tooth sensitivity have the potential to be dangerous, so it is always worth it to play it safe and get your teeth looked at early on. If hot or cold foods are causing you discomfort then you may be suffering from the common dental problem broadly referred to as tooth sensitivity. A lot of these problems sound scary but thanks to dental science and technology sensitive teeth can be treated. Being able to identify a problem in its early stages makes treatment easier. Your dentist may recommend desensitising toothpaste if the damage is not too severe or other treatment options are available as well, which your dentist will be able to recommend based on the cause of your sensitivity. If you do suspect that your teeth are hurting due to one of the problems mentioned above then visit your dentist straight away. Proper oral hygiene is always the key to preventing sensitive-tooth pain. Regular visits to your dentist can help you avoid a lot of dental health issues and your dentist will be more than happy to answer any questions and queries. If you are experiencing any of the above symptoms ot pain or would like to seek further professional advice, please call us on 01695 627 617 or email us at hello@straphaelsdental.co.uk for the best advice.